At the end of the last chapter, we briefly touched on the difference between users and profiles, but I want to dive a little deeper before we start working on profiles. In software engineering, there is a concept called the Single Responsibility Principle. The idea is that each class should do one job and it should do that job very well. Why is the Single Responsibility Principle relevant to us? Because it’s the theory behind why we’re separating users and profiles. Users are for authentication and authorization (permissions). The job of the User model is to make sure that a user is allowed to access what they’re trying to access. As an example, a user should be allowed to edit their email and password. They should not be allowed to change the email and password of another user though. By contrast, the Profile model is all about displaying a user’s information in the UI. Our client will include profile pages for each user, which is where the name of the Profile model comes from. Now we will take some things from the user model because there is an inherit relationship between Profiles and Users, but we will make it our goal to keep this overlap to a minimum. Now let’s jump in and create the Profile model. # one -- related Profile model. # creates their account, so we specify blank=True. # avatar. This field is not required and it may be blank. # A timestamp representing when this object was created. # A timestamp representing when this object was last updated. One thing you may notice is that both the User and Profile models have the created_at and updated_at fields. These are fields that we will place on all of our models, so why don’t we take a few minutes to abstract this into its own model? # A timestamp reprensenting when this object was last updated. # default ordering for most models. # creates their account, so we specify `blank=True`. -    # A timestamp representing when this object was created. -    # A timestamp reprensenting when this object was last updated. Since we want this to apply to the User model as well, we’ll need to make a couple of changes there. # database to improve lookup performance. # the most common form of login credential at the time of writing. # will simply offer users a way to deactivate their account. # but we can still analyze the data. 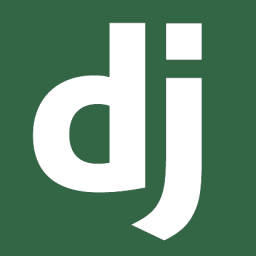 # More fields required by Django when specifying a custom user model. # The `USERNAME_FIELD` property tells us which field we will use to log in. # In this case, we want that to be the email field. In the Profile model, we created a one-to-one relationship between User and Profile. It would be nice if that’s all there was to it and we could call it a day, but we still have to tell Django that we want to create a Profile every time we create a User. To do this, we will use Django’s Signals framework. Specifically, we will use the post_save signal to create the Profile instance after the User instance. This is the signal that will create a profile object, but Django won’t run it by default. Instead, we need to create a custom AppConfig class for the authentication app and register it with Django. # and use the correct app config based on that value. Now, when a new user is created, a profile should be created for that user as well. Let’s test this to double check. The first thing we need to do is drop our existing database. None of our users will have a profile, so Django will ask us to provide a default value. The problem is that this default will live in a migration and run for every record we create in the future, which is not what we want. To drop the database, delete the db.sqlite3 file in the root directory of your project. NOTE: The ~ in the above snippet should not be typed with the rest of the command. It is simply to identify that we’re running this command from the command line. Now you should be able to use Postman to send a registration request and create a new user with a profile. Go ahead and send that request now. The output you see from u.profile will be different based on the username of the user you created. As long as u.profile returns a Profile instance, we’re all set to move forward. There’s nothing new here. This is very similar to the UserSerializer we created in the last chapter. Let’s move on. Since we know we’re going to run into the same issue we had with the user response data not being namespaced under “user,” let’s go ahead and create a ProfileJSONRenderer. This renderer will be very similar to the UserJSONRenderer, so we’re going to create ConduitJSONRenderer that both UserJSONRenderer and ProfileJSONRenderer can inherit from. This will let us abstract some parts of the code away and avoid duplicating them. # check for this case. In UserJSONRenderer, we did not specify an object_label property. The reason for this is that we knew that the object label for UserJSONRenderer would be user. In this case, however, the object label (or namespace) will change based on what class is inheriting from ConduitJSONRenderer. To make this useful, we allow object_label to be set dynamically, and we default to the value of object. UserJSONRenderer has to worry about decoding the JWT if it is part of the request. That is a requirement specific to UserJSONRenderer that will not be shared by any renderer. It doesn’t make sense to include that in ConduitJSONRenderer. We will handle updating UserJSONRenderer to take care of this case shortly. There’s really not anything here since ProfileJSONRenderer shares so much functionality with UserJSONRenderer. -        # check for this case. # decode it before rendering the User object. -        # Finally, we can render our data under the "user" namespace. Basically all we’re doing here is removing the parts that are now handled by ConduitJSONRenderer. Everything should still be working exactly as it was for UserJSONRenderer. Perform a “Current User” request in Postman to confirm. Let’s add an endpoint to retrieve information about a specific user. # profile could not be found. In the code above, we handle the case where the requested profile doesn’t exist, but we don’t do it cleanly. In particular, we don’t have control over what the error message the client will receive is. Let’s do something about that. This is a simple exception. In Django REST Framework, any time you want to create a custom exception, you inherit from APIException. All you have to do then is specify the default_detail and status_code properties. The default of this exception can be overridden on a case-by-case basis if you decide that makes the most sense. # generated by DRF, so we get it up front. # Django REST Framework do its thing. We will handle our custom exception the same way we do a ValidationError, but now we have control over the error that the client will see. To bring things full-circle, let’s use ProfileDoesNotExist in our view. Problem solved! Let’s add a url for ProfileRetrieveAPIView to our urls file. Like we did with conduit/apps/authentication/urls.py, we need to register this new urls file with the main urlpatterns variable in conduit/urls.py. If you open Postman and look in the “Profiles” folder, there will be a request called “Profile.” Send that request to the server to check that everything we’ve done so far is working. Assuming all is well, we can move on to updating UserRetrieveUpdateAPIView. These changes will let us use the same endpoint for updating the email, password, biography, and image of a user. We also need to update UserSerializer to make the update method work with profiles. Handles serialization and deserialization of User objects.""" # benefit, so let's just stick with the defaults. +    # so we set `write_only=True`. Finally, change the update method on UserSerializer to handle profile data. """Performs an update on a User.""" # Passwords should not be handled with `setattr`, unlike other fields. # `validated_data` dictionary before iterating over it. +    # we remove the profile data from the `validated_data` dictionary. # the current `User` instance one at a time. # of the security stuff that we shouldn't be concerned with. +        # changes to the Profile model. +    # Save the profile just like we saved the user. With all of these changes made, we’re ready to release our new profile feature to our users! As a sanity check, go back to Postman and make the “Current User” and “Update User” requests in the “Auth” folder to make sure we didn’t break anything during refactoring. Next up is the bread and butter of our app: articles. Whether you’re the one reading the articles or you’re the one writing them, they are the most important piece of our app. Without articles, users can’t do anything at all! In the next chapter, we’ll add a model and serializer for handling articles. We’ll take a look at a new concept of a view set, and we’ll add a new signal to our API. See you there!